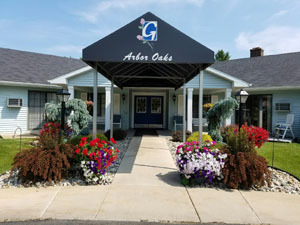 Semi-Independent Living – Lloyd Ganton Retirement Centers, Inc.
Arbor Oaks offers the best of country living with small town warmth and hospitality, only minutes from shopping, restaurants, physicians and churches. 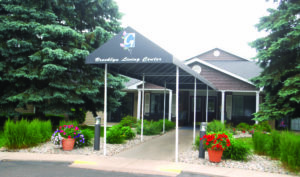 Set in the beautiful Irish Hills, Brooklyn Living Center overlooks a beautifully landscaped, natural setting. Spacious lawns and wildlife walking paths surround the grounds for your enjoyment. It is a special combination of housing and services to promote maximum independence for the more active senior. You live in your own apartment, with your own furnishings, in a secure, comfortable environment. We take care of all the work, so you can concentrate on enjoying life.